The actions that you take immediately following an airplane crash , helicopter crash, or airline accident are crucial. A wrong decision after one of these terrible events can haunt you for the rest of your life. What you should do if your loved one was involved in a serious or fatal airplane or helicopter accident. Steps involved in an aviation accident case- hidden issues and pit falls. What you should look for in an aviation accident lawyer. We successfully handle airplane and helicopter accident cases of all types, nationally and internationally. If a loved one has been injured and it involves aviation we will prosecute the case. We have a reputation in the industry as forceful advocates for our clients and have a very successful track record. We handle all types of aviation accident cases including: United States and international airline accidents, helicopter accidents, private airplane accidents, charter airplane accidents, air medical transport (ambulance) accidents, sightseeing tour accidents, and air show and event accidents. We accept a limited number of cases so that we can give unlimited resources to the ones we do handle. Speak with an attorney who not only understands aviation law, but also has worked in the aviation industry for close to three decades. If you have lost a loved one in an airplane crash or helicopter accident, or if you have been injured in an airline accident, then you need to pursue legal advice from an accident lawyer who has a strong background in aviation law. Michael Pearson has a background that is vastly different from other lawyers. He is an active trial lawyer with substantial experience in state and federal courts. In addition to practicing aviation and trial law, he has also worked as a Federal Aviation Administration (FAA) air traffic control specialist for more than 26 years in various busy FAA facilities. Michael has even worked as a Quality Assurance Specialist for the FAA, where he was responsible for accident investigations. Mr. Pearson is a graduate of the FAA's Transportation Safety Institute airplane accident investigation school. In addition, Michael taught aviation law at several universities and is an aviation law professor at Arizona State University. 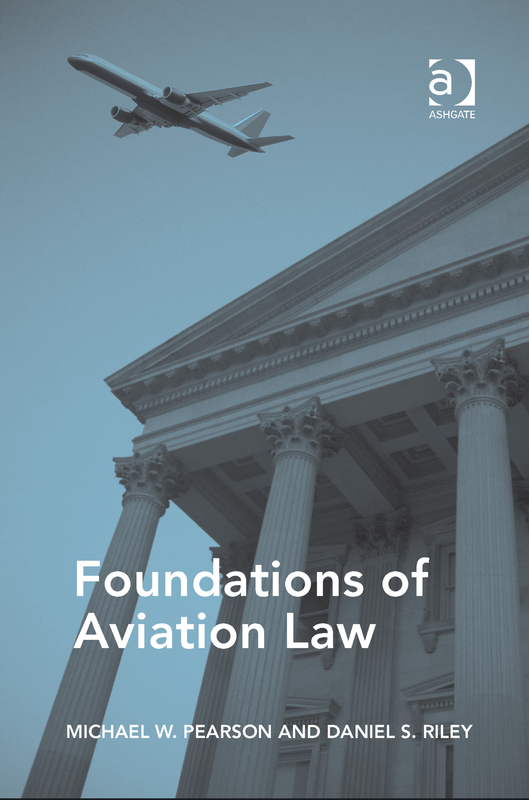 He has authored a textbook "Foundations of Aviation Law" for a major academic publisher. Such superior knowledge is crucial to cases involving airplane or helicopter accidents. For answers to your questions, contact us today at 602-258-1000 or toll free at 1-855-5AIRCRASH (1-855-524-7272). We represent aviation accident victims worldwide. Regardless of your location, call us for information. An airplane or helicopter crash is not your typical accident. While statistics show that these accidents are less common than auto collisions, they tend to generate far graver consequences. Few people walk away from an airplane or helicopter accident unharmed. Instead, they are faced with painful and serious injuries, if they even survive. Typically, an aviation accident leaves a family grieving the loss of a loved one. Domestic aviation accidents are considered personal injury or wrongful death claims, and are usually governed by state law. International aviation accidents have their own unique set of factors that are quite complex. Since airplane and helicopter crashes are very different than other types of accidents, it is crucial to talk with an airplane crash attorney immediately. However, calling a standard personal injury lawyer can actually be detrimental to your case. Aviation accident cases have been dismissed because of legal issues and other matters in which the average lawyer is unfamiliar. It is crucial that your lawyer has experience dealing with the FAA, National Transportation Safety Board (NTSB), aviation insurers, and industry experts. This list is just a sample of the many steps that your airplane crash attorney will need to take. At the law firm of Curry, Pearson & Wooten, PLC, not only do we know what is involved in aviation law cases, but we also have experience that is unmatched by most firms. We understand the pain, loss and confusion you are feeling. Without question, airplane crashes and helicopter accidents leave a trail of devastation. Families are forced to face a future without their loved ones. Survivors are left with the emotional and physical trauma from the accident. We know how difficult it is for you as a family member or crash survivor, because we have represented people just like you - those who have lost loved ones or have been seriously injured. Our law firm will do everything in our power to help you recover the damages that you deserve. There are many things that you need to know following an airplane accident, including who can recover compensation and what damages are available. You also need to recognize what decisions can help or hurt your case. If you have questions after an accident, an experienced airplane accident attorney from our office will be more than happy to provide you with answers. Helicopter crashes are often deadly and leave the surviving family members with many unanswered questions. If you or a loved one has been injured in a helicopter accident, you need to be aware of the possible causes and your rights. An experienced helicopter accident attorney from our office will be able to provide you with much-needed answers.